I've just been to the Botanical Gardens in Edinburgh where there was a display of different types of apples. The smell of them was lovely so I can just imagine what that apple butter smelt like - heavenly!! My cousin lives in Boone. She loves it there. Boy, do I like good apple butter... yum. I LOVE apple butter, nothing like it. 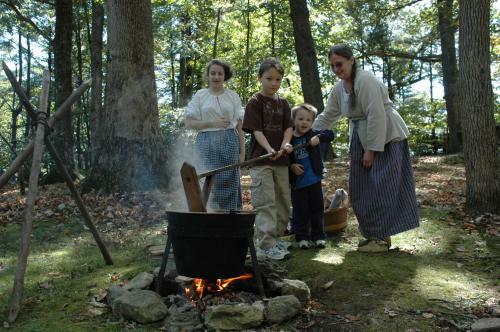 My daughter went to Lover's Leap and to Mabry's Mill where they were making apple butter this past weekend. It is so yummy! She has a wonderful recipe that she uses. I've never seen it made.I bet its a heavenly scent.